Selling your house? Win "Best in Show" with our professional home staging services. House Dressings stagers understand your goal to sell for top dollar as quickly as possible. We specialize in transforming homes into market-ready showcases, creating maximum appeal to a broad range of buyers. 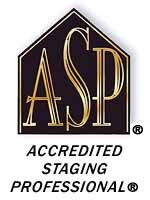 Our stagers are Accredited Staging Professionals (ASPs) with the talent, training, creativity and experience your home selling project deserves.